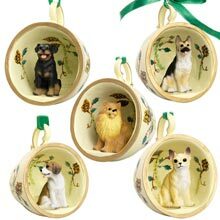 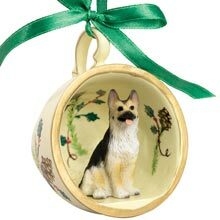 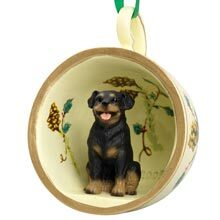 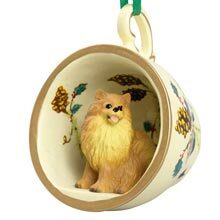 Shaped resin Dog Breed Teacup Ornaments with 3-D dogs and holly and pinecone motif and ribbon hanger. 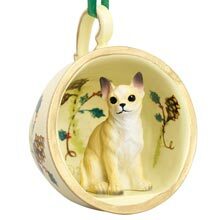 I Imported. 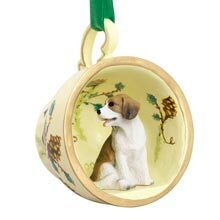 2"h.